“There is a total incompatibility between the joy of reading, a vagabond experience, and the experience of reading in order to answer questions, and explain what you understood.” – Rubem Alves, Brazilian educator. What is most likely to influence your success at school or at a job? The ability to read well. And that goes for your kids too. The declining literacy of our society has been a major concern of educators for a while now, and yet things are not getting better. One reason might be a failure to recognize that reading and literacy are personal skills, best acquired when associated with pleasure. In most cases, how well we learn to read will depend largely on our exposure to language as children. If we hear people around us talking about a wide variety of subjects as children, we naturally pick up the words and phrases they use. If we pick up a lot of words, we will have an advantage when we start reading, and we will learn to read better. This, in turn, helps us to acquire more words, leaving the poor readers, who know few words, further and further behind. The literacy divide usually begins early in life, and can only be overcome by lots of reading later in life. Much of the traditional advice to struggling readers, these days, seems to involve developing “cognitive strategies”. In this approach, readers are asked to focus more, to think, to be curious and ask questions, to analyze, to predict, to infer, and to monitor their understanding, or worse still to answer questions on their comprehension of what they have read. In other words they are asked to become self-conscious readers.I do not agree with this approach. Here are my seven strategies for reading improvement. 1. Read about things that interest you. If you are interested in what you are reading about, the words will come alive, and you will be motivated to understand. You will feel satisfaction in accomplishing a task that you enjoy, and which you consider meaningful. The more you read, the better you will become at reading. Just get started and it will become a habit, as long as you are interested in what you are reading. 2. Read material that is at your level, or just a little difficult for you. Read material that you find easy to read, or just a little challenging. Looking up many unknown words in a conventional dictionary is tedious, and the results of the dictionary search quickly forgotten. It is better to stay within your comfort zone and keep reading. Soon you will be able to take on more difficult content. 3. Learn to read in depth, stay on the same subject for a while. If you are familiar with the subject you are reading about, you will understand better. Do not just read short articles. Commit to books. Stay with one author for at least one book. If the subject matter is new to you, you should even try to read a few different books or articles about the same subject, before you move on. This way you will meet the same vocabulary and ideas often, helping you to learn. You will also be able to get deeper into the subject and your reading confidence will grow. 4. If you have trouble reading, listen first. Many great works of literature were written to be read out loud. Learn to appreciate the art of the narrator. Listen to audio books or audio files of the material that you are reading. This will help make difficult content seem more familiar. If you can hear the new words and phrases that you are reading, you will have an easier time understanding and remembering them. Hearing the rhythm of someone reading a text will help your own reading. 5. Let your imagination get involved. Good readers get engrossed in their reading and let it trigger their imagination. Learn to enjoy your reading without asking too many questions or analyzing too much. It will just spoil the sensual enjoyment of the reading experience. You do not need to predict or analyze. Just enjoy and look forward to absorbing the information, ideas and thoughts expressed by the writer. 6. Don’t worry about what you don’t understand. Most of your reading should be for pleasure. You can enjoy reading without understanding all of what you read. You may even understand some things in your own personal way. Neither you nor a teacher needs to “monitor” your understanding. Learn to enjoy reading, even while feeling that you do not fully understand or remember what you have read. 7. Recognize that the key is to read a lot. You may develop a system for keeping track of new words that you encounter in your reading, using lists, or Flash Cards, or other memory systems available on the Internet or elsewhere. However, the main growth in your vocabulary and reading skill will come just from reading as much as you can. So learn to enjoy reading and read a lot. Keep reading, and you will become a better reader. Unfortunately not all reading is just for pleasure. When you are reading a textbook or manual, or report or other material that have to read for school or work, you may need to underline, take notes, and read some parts over again, in order to retain what you are reading. 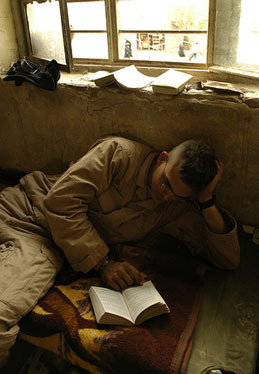 However, if you have developed the habit of reading for pleasure, you will find that the cognitive techniques you need will come naturally, and that you will understand a lot better than before. Thank you for your suggestions I found it very helpful. it is really help me understand how to improve my reading skills. thank you very much I really appreciated.